Do you associate self-discipline with pain and constraints? If so, you’re probably missing out on a lot of benefits. In this article I’m going to give you 3 reasons why self-discipline is, in fact, freaking awesome. Are you ready? So you hate self-discipline because you value your freedom more than anything else, right? The last thing anyone wants is a bunch of restrictions in their life. I get it. But what if I told you that true freedom is impossible without self-discipline? It may sound counterintuitive, but just think about it for a moment. How can you expect to be free when you have limited control over your mind and body? Without self-discipline, it’s virtually impossible to control yourself, let alone the direction of your life. How can you be free when you can’t resist eating junk food or drinking alcohol? How can you be free if you’re depressed, angry, or unhappy on a regular basis? If you can’t control your urges, your urges control you. As you can see, without self-discipline, you become a slave to your so-called freedoms. Sadly, many people lack self-discipline. They can’t control what they eat, how much television they watch, what time they go to bed, or how much money they earn (among other important things). 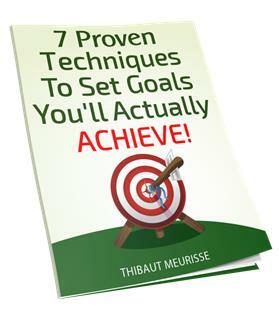 As a result, they fail to achieve most of their goals. They are held captive by their minds and typically have a hard time regulating their thoughts and emotions. Self-discipline is what allows you to create genuine freedom in your life. Imagine the amount of freedom you would have if you were in complete control of your mind, body, and actions. Imagine how drastically your life would change if you could focus on your long-term plans. You would accomplish so much more if you could overcome the need for instant gratification in the form of junk food, TV, video games, or excessive leisure activities. Yes, self-discipline is freaking awesome, but maybe you’re still not convinced. If so, read on! Most people don’t realize that self-discipline has a direct connection to self-esteem. If you can’t trust yourself to do what you say you will, it’s difficult to fully love yourself. Renowned self-esteem expert Nathaniel Branden defines self-esteem as “…the reputation we acquire with ourselves.” If you keep saying you’re going to go to the gym, study, or work on your business only to watch TV and eat junk food instead, what kind of reputation will you have with yourself? You might say it’s no big deal, but do you honestly believe that? People who meditate for hours or challenge themselves to accomplish extremely demanding feats aren’t crazy. They just understand the importance of self-discipline and are keenly aware of its benefits, including its positive impact on self-esteem. They also realize how crucial it is to living a fulfilling life. Yes, self-discipline increases yourself esteem. Pretty cool, isn’t it? What about you? What reputation do you have with yourself? There’s a good chance that you’re starting to see how amazing self-discipline is, but if you aren’t, there’s still more to come. You’ve gotten this far, so you might as well check out the 3rd reason self-discipline is awesome! Self-discipline isn’t something to be afraid of. It feels great to be able to trust yourself and achieve your goals on a regular basis. Self-discipline gives you more control over your life, which leads to increased freedom. Better still, it allows you to achieve significantly more in your life. If anything, it’ll be pretty exciting to watch yourself develop more and more self-discipline with each passing day. Set goals every day and achieve them. Start small to make sure you achieve them, as regularly accomplishing small goals will help you build the confidence and discipline you’ll need to achieve big goals. I really want you to reach your goals and live a fulfilling life, and to that end I’d like to invite you to begin a 30-Day Challenge starting from today. This might sound daunting, but it’s actually fairly simple. Just select one of the two previously mentioned tips (setting daily goals or implementing a new daily habit). Once you’ve chosen one of the options, stick to it for a full 30 days. Leave me a comment below and tell me which option you’ve chosen. Disciplining yourself to take action on a consistent basis isn’t always easy. I’ve struggled before and have failed many times when trying to implement positive habits. One thing that I’ve found particularly helpful, however, is investing in high-quality programs that specifically address my problem areas. When you put your hard-earned cash into something, you feel compelled to get your money’s worth. This makes it much easier to stick to your habits and maintain your commitment, in addition to increasing your chances of success. Let’s look at the following example: I spent a long time trying to adopt a daily morning ritual that would help me train my mind for more happiness and success. As much as I wanted to do this, I could never follow through. I was quite frustrated, so when I came across a program called Morning Ritual Mastery, I decided to buy it. I could have found some of the same content online for free, but it would’ve taken hours or even days that I didn’t have to spare to sift through everything and figure out what was relevant. On top of that, I wouldn’t have been as motivated to put what I learned to use. The sense of urgency we feel to get something back when we spend money wouldn’t have been there. This program enabled me to give it 100% and take consistent actions. If you’re looking to build a morning ritual that will help you experience more joy, gratitude, and motivation in life, I highly recommend this program. In the spirit of transparency, I’d like to be clear about the fact that this is an affiliate product, which means that I earn commission if you buy it using the link in this article. That said, it wouldn’t be an affiliate product if I hadn’t personally experienced amazing results with it. It can be purchased here if you’re interested. If not, you can check out the free video, which has some of the same content, right here. What program could you invest in that would support you in getting the results you want? Self-discipline really is the secret sauce. Hello Nils. Thanks for sharing the quote. Actually, I never read “Willpower”. Sounds interesting. “The Willpower Instinct” have some good stuff on Willpower too. Yes, self-discipline is so important. Without self-discipline there is no way we can achieve our most exciting goals. I like to see self-discipline as something positive. Of course, I’m not yet as disciplined as I would like to, but I’m working on it. There are some areas in my life where I’m rather disciplined, while there are other areas in which I’m kind of struggling.